There is a new Tiffin Sports Website which can be found at Sports Portal. Despite our modest funding by comparison, the quality and breadth of sporting provision at Tiffin rivals that of some of the country's top independent schools. Indeed, we compete on equal footing with some of the giants of schoolboy sport in several arenas including Rugby, Cricket, Rowing and Athletics. With excellent facilities both on- and off-site Grists Playing fields (please see the Sports Centre page for more details) and highly experienced coaches, we are able to offer a supportive and motivational environment in which boys can achieve their potential, whatever their specialism. For an introduction to each of the sports offered, please click on the links below or simply scroll down. Rugby Football is played as the major sport in both the Autumn and Spring terms. We regularly field twelve sides on Saturdays and give as many boys as possible the opportunity of playing the game at a competitive level. On Games afternoons we have a number of fixtures involving up to four teams in any one age group. We have a comprehensive fixture list that includes many of the best school sides in the South East. The Senior Squad regularly embark on a foreign tour including Italy and Canada. In the latter part of the Spring term, Sevens is played by all age groups. 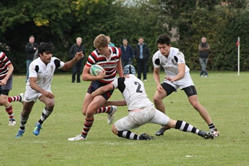 The Seniors and Colts play in a succession of tournaments, culminating in the Surrey Sevens as well as the Rosslyn Park National Sevens. 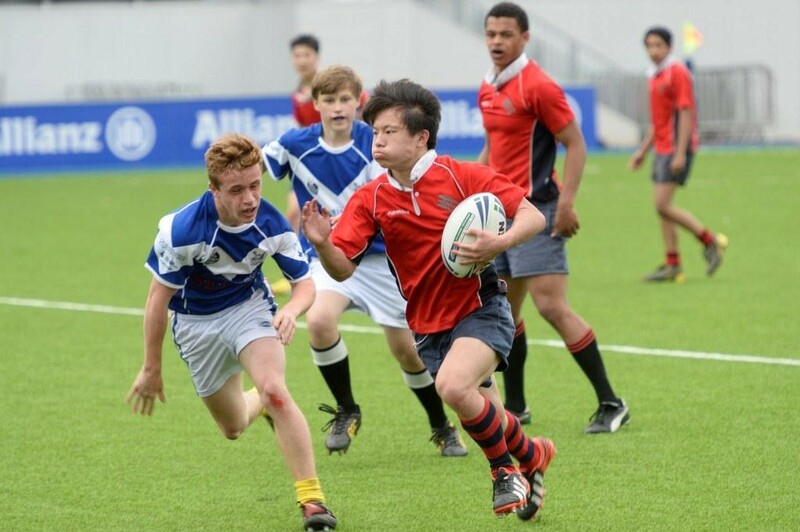 In addition to this we have sides that compete in various Rugby League competitions during the spring term in which we have won several Regional Trophies and played at various prestigious venues such as Allianz Park. 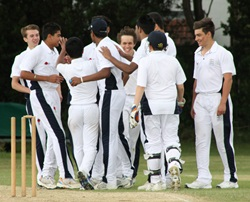 Boys of all standards are catered for, most of whom have not played the game before joining the school. 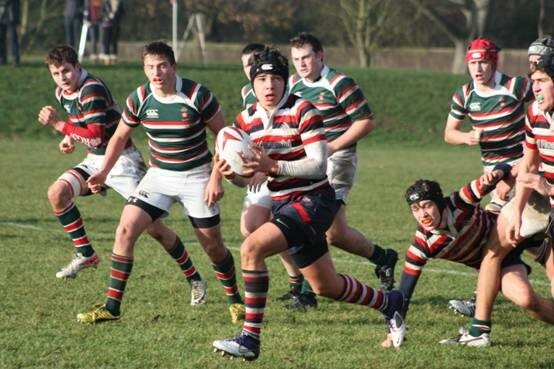 Beyond the school sides, Rugby is a major part of the House system. Cricket proves immensely popular at the school and is played at A and B team level throughout each year group with 3 XIs representing the school at senior level. Matches are played every Saturday throughout the season in a series of block fixtures which have existed for generations. 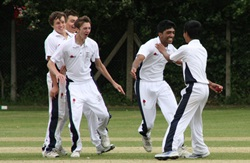 In addition, there are many mid-week fixtures against closer schools and in the Surrey Knock-Out Cup competitions. Tiffin’s best known old boy is Alec Stewart who played cricket here in 1975 as an Under 12 and who captained the school 1st XI in 1980. He fulfilled a lesser role with England some years later. Arun Harinath followed a similar path through the early 2000s and now represents Surrey CCC. The school boasts impressive facilities at Queen Elizabeth Road with a bank of 8 high quality outdoor nets and 4 indoor nets in the sports hall. Grist’s sports ground at Hampton Court is no less impressive and is home to 3 school cricket squares and a wealth of history. For those joining the school, cricket starts in January for the new Year 7 intake with a series of form matches played indoors with a soft ball. This allows the coaches to assess early ability and to put together an A and a B squad for the start of the summer term. For those joining the 6th form, indoor practice also starts in January. Badminton is equally popular and 6 courts in the sports hall allows room and scope for practice and matches. Play is concentrated into the Christmas term when the bulk of the Surrey league matches take place. The school enters teams at A and B level at U19, U16, U14 and U12 level. The Easter term sees the bulk of the house competitions. Success is cyclical and is usually measured against the gold standard provided by the remarkable Wilson’s badminton academy but we do pretty well in comparison. 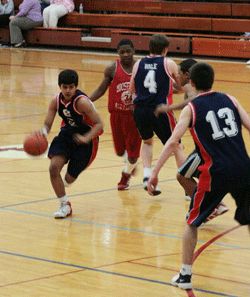 Tiffin has fantastic basketball teams ranging from Year 7-13. In recent years Tiffin has won county league and cup titles as well as reaching the last 8 of the national schools competition. Some of our pupils compete for basketball clubs outside of school, and the time and effort they put into basketball during the school day has helped produce players that represent the county as well as players going on to represent their university. Training takes place every day before school, lunch and some days after school. There is also an opportunity to go on the basketball tour of the U.S. which happens every April, this year the boys went to Chicago and Milwaukee. 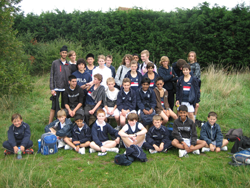 Tiffin has a very strong athletics squad, regularly winning the Senior Borough Championships. Training sessions take place during lunch time in the summer and we have many pupils that represent Kingston in the County Championships. Recent success includes an English Schools medallist and AAA’s Champion. Rowing is available from year 9 upwards and the school attends a combination of Local and National events. Outstanding success has been experienced at Inter-Regionals, National Schools and in Henley qualification. Boys who row at Tiffin frequently go on to row at University where boatclub members have recently achieved selection for the Oxford boatrace squad, and become President of Cambridge University Lightweights. For more information, please click here to visit the Tiffin School Boat Club website. Tennis fixtures are played during the Summer term and teams in the following age groups participate: U12, U13, U14, U15 and the Open. All age groups are entered in the Surrey Schools League Competition (teams of either 4 or 6 players) and also the Surrey Schools Festival of Tennis, where the best pair from each age group represents the School. In addition, the Senior side enter the Rootham Shield competition, a combined singles and doubles event, involving a team of 4 players. A number of squads over the last few years have enjoyed considerable success, reaching the Finals in both competitions. Home fixtures are currently played at New Malden Tennis Club which offers excellent facilities. During all 3 terms, students in Year 11 and the 6th form are able to choose Tennis as their games option on a Wednesday afternoon and play/train alongside the Senior squad at the Club. When the weather prevents us from playing, the students have access to the gym. Players who are not of the standard to play in the School sides, have the opportunity to play competitively via the House system, whilst those who just wish to play the game recreationally can do so as well. This sport is now available as a games option on Wednesday afternoon for students in Year 11 and the 6th form. It has proved popular and a very experienced coach is always present, expertly catering for the range of abilities. Squash is played at New Malden Tennis Club with some of the boys then opting to play tennis after their session. The Tiffin Cross Country Club offers an opportunity for all students, irrespective of ability, to compete in this thriving sport. Training takes place during lunchtimes and on Games afternoons, at school, at our playing fields in East Molesey and in Richmond Park. A wide variety of team and relay fixtures are held against other schools throughout the South east between September and March, allowing our boys to compete successfully at local, regional and national levels.